When do you start teaching proper vocal technique to young voices? RIGHT NOW! Here are 18 fun and original exercises that will get your students' growing voices on the right track to producing a quality sound. Posture, breathing, flexibility, range of voice and more are all addressed in these wonderful exercises for young voices. Sing along with the demonstration tracks on the enclosed CD for quick learning, or use the accompaniment-only tracks for ear training and assessment options. 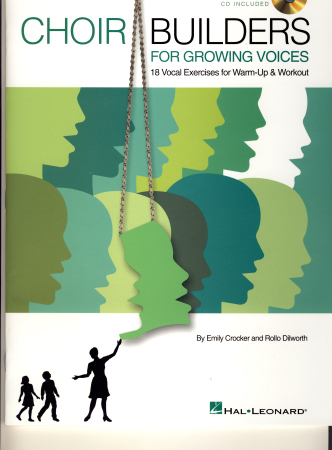 Get ready to workout to a better sounding choir! Warm-ups include: Articulate!, At the Market, Diction Warm-Up, The Giant and the Flea, Interval Training, Phineas the Frog, Tune Your Voices, and more.